Kira1 is only a small device you connect to your network, which in turn allows you to control anything that uses infra-red, kind of like an universal remote control. As I posted earlier this week, I'm currently toying with the whole Home-Automation concept. The last post was about showing information collected from the web, in particular how to show when the next metro arrives. It's cool, but it's not really automation. With Kira you can start to build the real thing. Of course I could have chosen the easy way and buy something like a Logitech Harmony universal remote control. As far as I can tell, anyone I know who bought one only had positive things to say about it, so kudos to Logitech for designing apparently a very good product. You plug the device on your network. You program up to 128 commands using the provided software. You use the Kira's integrated web server to select one of the 128 commands. The device itself has an infra-red receiver you can use to record control codes from your existing remote control; you can of course pilot your PC this way. 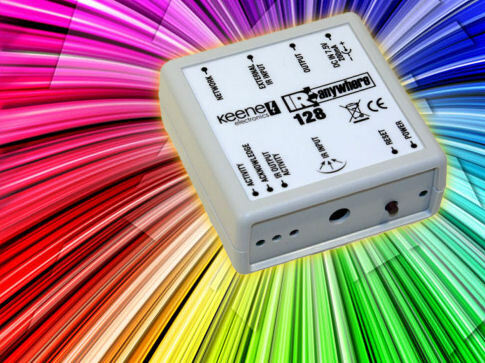 If you are interested by this device, you can find it on Keene Eletronics's site, here is the link to their infra-red related products. They even have a magazine showing how the various products can be used together, available in PDF here. I'm not there yet, but what I have so far is a complete web version of my media box remote control commands (using a more practical layout), which can be used from any mobile device with a touch screen. When the web page buttons are selected, the page sends the correct pre-recorded control code to the Kira device, which then send the infra-red stream to the device. So given a code between 1 and 128, the function creates an URL containing a string from remote2.htm?button001 to remote2.htm?button128. The first idea I had was of course to try to just have my control panel link to these buttons (did not work), then to copy the ajax code to my own page (did not work either). The reason is because of some nasty security constraints related to something called cross-site scripting. Basically in order to avoid hackers and phishers to exploit real sites and trick users by integrating some elements from a real site into another, there are restrictions on what can be used. An example of that is that you cannot make a script access data coming from another domain than the one where the script was loaded from. Bummer. After few hours of head-scratching, duckduckgoing5 and stackoverflowing I decided to contact Keene's customer support. Of course I did that on Saturday morning, so I was planning to do something else during the week end... until surprise! I got an answer from the guy who wrote the firmware, complete with explanations on how to do things, some Wireshark packet dump showing the content of the data exchanged between the Kira device and the browser. Call me impressed. It took some back-and-forth exchanges until we finally managed to find something that works well, so I'm going to share it here. Basically the idea is to not use the ajax method (due to the security constraints), but to instead use the UDP API. I admit the code is a bit violent, but it's working well6. The same code can be used to send any of the other cmdT commands described in Keene's API details document. 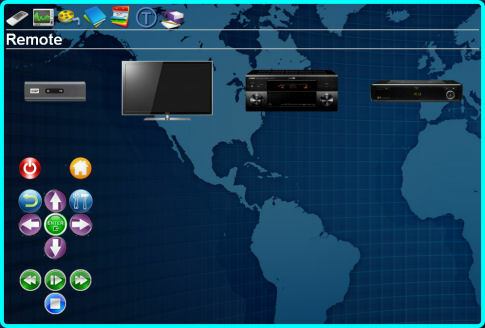 What remains to do in this part of the system is first to add the control codes for the remaining devices (the TV, the GET Digital Box, and the Thomson 5.1 system), then add support for sending multiple commands to multiple devices in one single request. I'm going to document all the parts of the system, and probably release the whole set of pages, scripts and css data so anyone can have fun of their own.